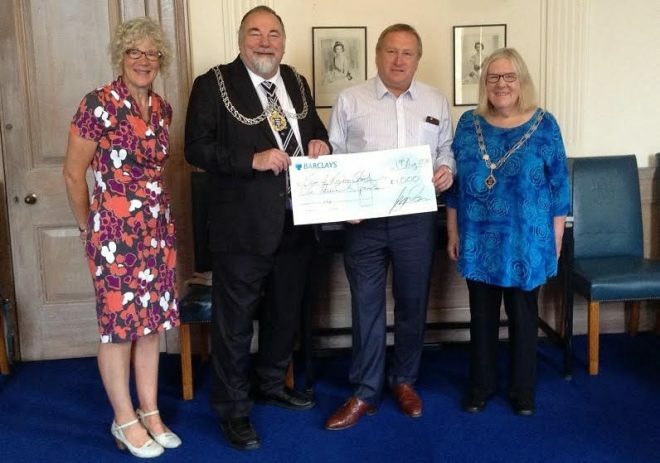 George Irvin’s funfairs are once again generously donating £1000 to the Mayor of Kingston upon Thames’s Charitable Trust. The Mayor’ charitable trust is proud to be supporting Momentum during 2016/2017 which an amazing charity that supports children with cancer and other life-limiting conditions. One of Momentum’s main aims is to improve the healing environment in local hospitals. Being admitted to hospital is very traumatic for children and their families. Research shows that the environment in which children are treated makes a huge difference to their experience in hospital and can even have an impact on how well they respond to treatment. Momentum has achieved incredible results in each of their partner hospitals, from refurbishing treatment rooms to providing facilities for parents. After a child has been diagnosed with cancer, they can often struggle to deal with the emotional and the physical changes that they find themselves suddenly dealing with. 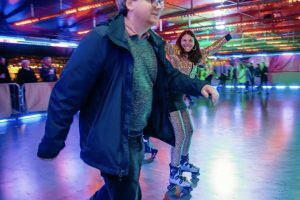 Momentum offers tailored support to each individual child and their family and provides a variety of therapy services including music, dance and drama. The charity also raises funds for trips and treats, including respite holidays at their stunning log cabins in the New Forest, which are equipped with their own beach hut. And should the very worst happen, Momentum continues to support families through the heartbreak of losing a child. Through its Echoes programme, run by a dedicated group of bereaved parents, it works hard to identify the needs of each family to provide help where it can. For more information visit: www.moment-um.org or call 020 8974 5931. George Irvin’s funfair is incredibly happy to be supporting this wonderful cause and we thank all our funfair visitors for their help in raising this money. Photo shows: Ms Marie Claire Edwards, Services Manager – Green Spaces, Climate Change & Sustainability; The Mayor of the Royal Borough, Cllr Geoff Austin; George Irvin Snr and The Mayoress of the Royal Borough, Mrs Sheila Austin.